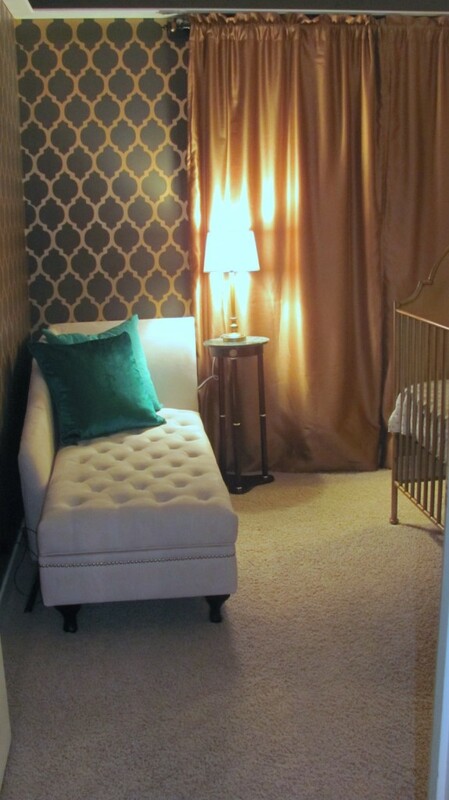 Designing Fierce’s nursery has been a lot of fun for me. The room was originally our spare bedroom. 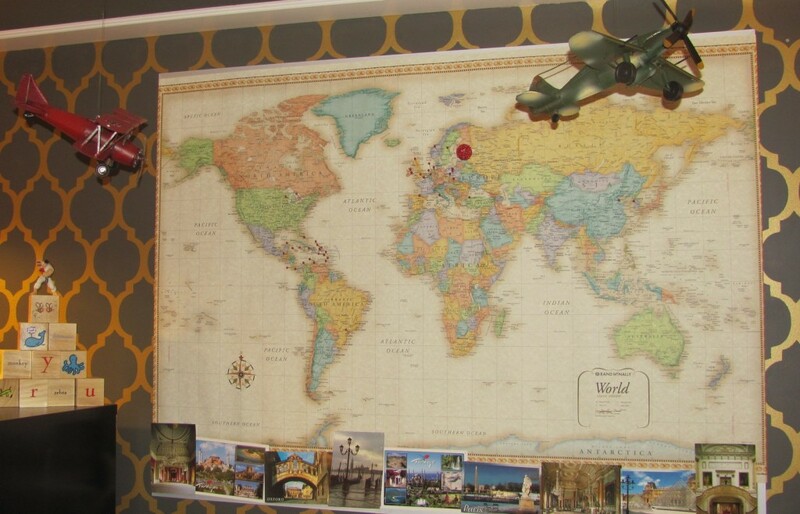 I had done the gold stenciling and created the map quite a while ago and really wanted to keep those design elements. 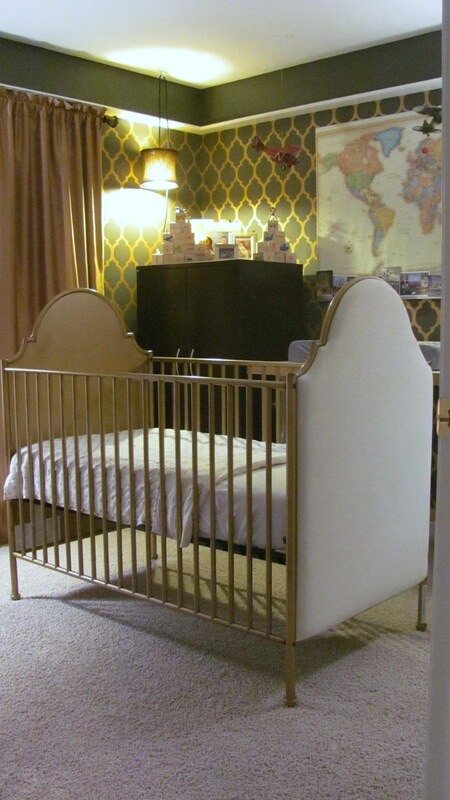 When I found the gold crib at Pottery Barn Kids, I was beyond thrilled; pretty sure it was one of my first purchases. 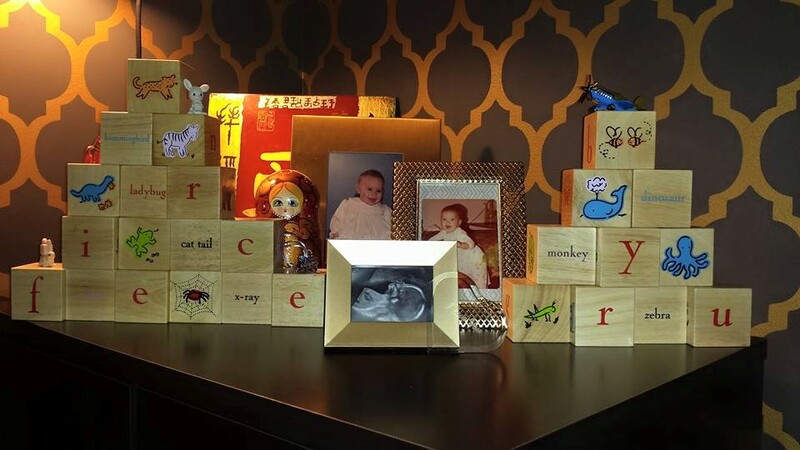 I received the wooden toy blocks at a shower and continued the gold theme by putting Wes and I’s baby pictures in gold frames. I had gotten the plaque in the background from my trip to China and is the symbol for family. The dressers were already in the spare bedroom, but I found the table in between them at an antique store and painted it white and gold. 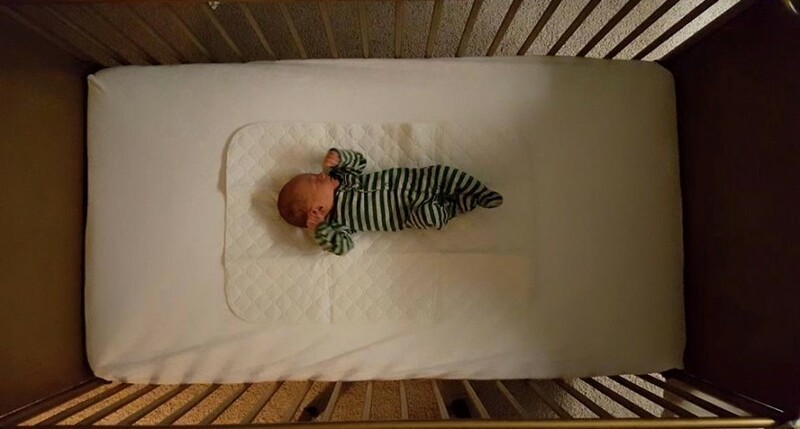 It is the perfect height for a changing table. The chaise lounge was the latest addition. The seat portion opens up and allows for storage within it…pretty neat feature when you are dealing with a smaller space 😉 I am so excited that it is finally complete! This is awesome. What a lucky little guy. Great job Ky!